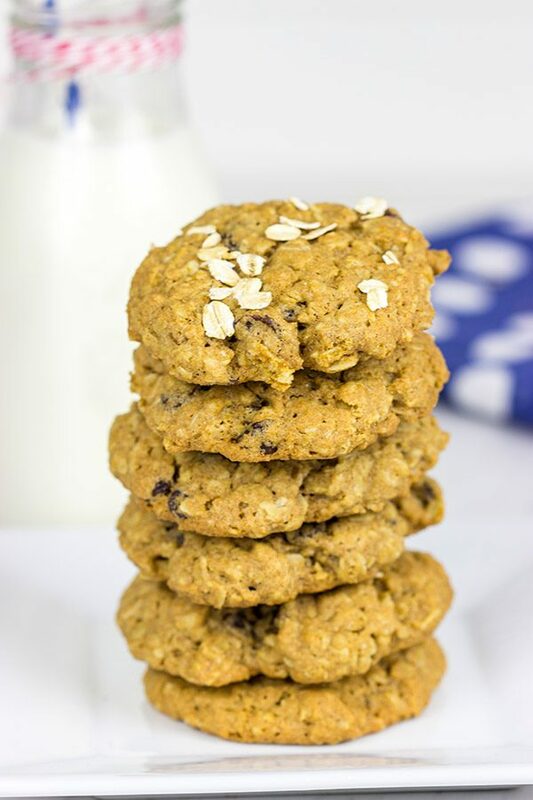 These Whole Wheat Oatmeal Raisin Cookies feature crispy edges and a chewy center…just the way oatmeal raisin cookies should be! As anyone with a toddler knows, mealtime can be a bit difficult. Robbie might devour a certain food one day only to push it away the next. Or he might request a certain food only to say “no Dada” once it shows up on his tray. I’m pretty sure that kid would be perfectly content eating crackers all day. But Laura and I are on a constant quest to sneak whole grains into his diet. And thus these Whole Wheat Oatmeal Raisin Cookies. Now these are still cookies, so they should be eaten in moderation…but if he’s going to eat a cookie, it might as well have whole grains in it, right? These Whole Wheat Oatmeal Raisin Cookies are made solely with whole wheat flour. I know some folks shy away from whole wheat flour because it’s different. But here’s the thing. With just a few small adjustments, you can easily sub whole wheat flour into your favorite recipes. Sometimes you might find a 50-50 blend of whole wheat and all-purpose flour is the best mix. But other times you can go all whole wheat flour. 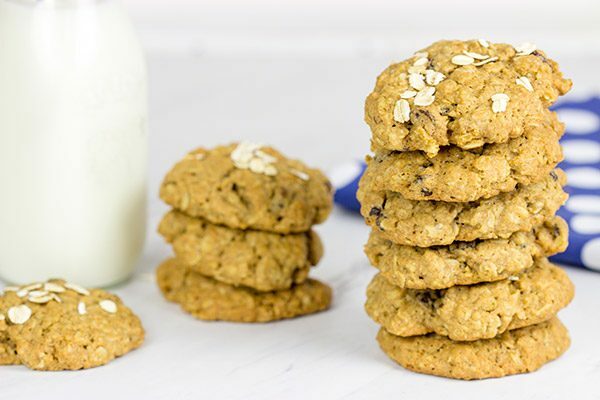 These Whole Wheat Oatmeal Raisin Cookies are a case where you can go all whole wheat! Plus, the whole wheat flour along with the oats and cornstarch in these cookies yields a wonderfully chewy cookie. In fact, I would call these the perfect oatmeal raisin cookie. And I’ve had more than a few oatmeal raisin cookies along the way…so I know a good cookie when I meet one! 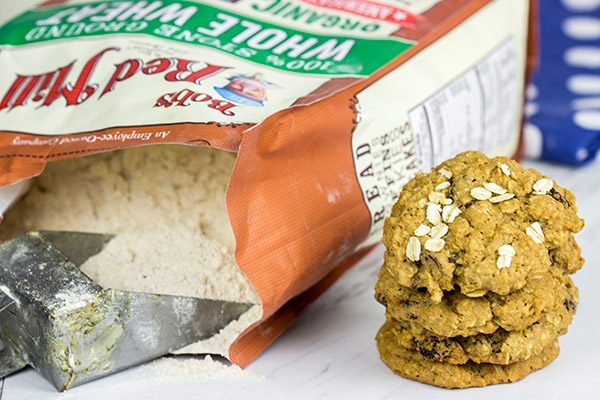 As with all of my baking projects, I turned to Bob’s Red Mill for both the whole wheat flour and rolled oats. I bake (and cook) a lot, and I’ve always found Bob’s Red Mill products to be top notch. 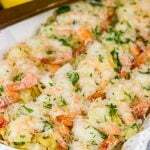 (Their flaked coconut is one of my favorites whenever I need coconut for a recipe!) Plus, their products are easy to find in my area, which is always a bonus! Check out their store finder to scout out your area. For these Whole Wheat Oatmeal Raisin Cookies, I used Bob’s Red Mill Organic Whole Wheat Flour. This flour is 100% stone-ground using U.S.-grown wheat. Plus, it contains all of the wheat–bran and all. (That’s what gives this wheat flour a slightly tan color as compared to all-purpose flour.) One pound of wheat berries go in, and one pound of whole wheat flour comes out. Pretty cool, huh? That’s why this whole wheat flour is so high in fiber and protein! Furthermore, Bob’s Red Mill Organic Whole Wheat Flour is certified organic by the USDA. I’m not sure where the summer went, but we’re already looking at back-to-school time. It’s time to fall back into our routines after a fun summer full of vacations and adventures. The school year gets a bit hectic and crazy. I get it. Weeknight dinners are often an afterthought following a busy afternoon full of after-school activities. But you can still sneak healthy ingredients into your favorite recipes. Take these Whole Wheat Oatmeal Raisin Cookies. No one would know that these are made with whole wheat flour! I mean, we’re gonna eat a cookie anyways. So we might as well sneak some whole grains in there. I think I actually prefer my oatmeal raisin cookies with whole wheat flour. Try these out and see if you agree! In the meantime, we’ll be in the driveway putting the finishing touches on our next masterpiece. Enjoy, my friends, and happy back-to-school time! Using a countertop mixer, cream together brown sugar, sugar and butter until light and fluffy (approximately 2-3 minutes on medium-high speed). Add eggs and vanilla; mix until well combined. In a separate bowl, sift together whole wheat flour, baking soda, cornstarch, cinnamon and salt. Add flour mixture to mixing bowl and mix on low speed until well combined. 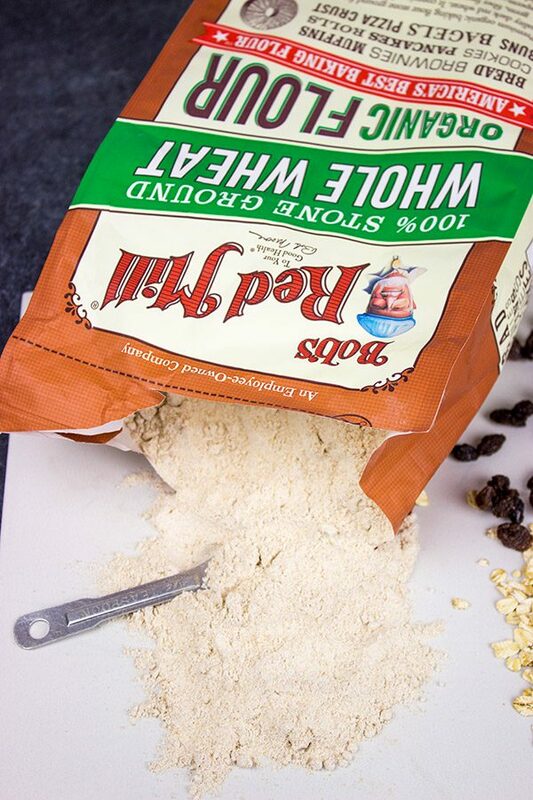 Add oats and raisins and mix on low speed until well combined. Drop 1½” balls of dough onto 2 parchment-lined baking sheets. 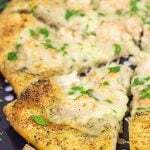 Refrigerate dough for 30 minutes before baking. Using the palm of your hand, flatten dough balls slightly. Bake for 20-22 minutes or until edges of cookies just begin to turn golden and crispy. Bob’s Red Mill. The opinions and recipe are all my own. Thank you for supporting the brands that support Spiced! See…you just need to go back and embrace your childhood, Ben! Go back and eat a batch of oatmeal raisin cookies. 🙂 Heck, you are even allowed to throw some lavender in your batch…just to make up for lost times when you were young. Haha! Seriously, though, these cookies are amazing! Like one of the best oatmeal raisin cookies I’ve ever eaten! 🙂 If I make another batch soon, then I’ll send you some…unless I eat them all first. Robbie is just too cute for words :). I loved sidewalk chalk growing up! It’s amazing how something so simple can be soooo much fun. I’m with you 100%; while I can’t really choose a favorite cookie (because it changes daily), oatmeal raisin is easily in my top three. And I happen to have a bag of whole wheat flour in the pantry. Guess what I’ll be doing this evening! Happy Wednesday! I happen to agree with you when it comes to Robbie, Kelsie…that’s why I just can’t stop taking pictures of him. Like last night. He had an all-out meltdown in his high chair because I gave him mashed potatoes for dinner. Despite the crying and wailing, I still had to snap a rather hilarious photo of him with his feet up in the air and a scowl on his face…all while strapped into his highchair. Hi David. While I do love a good shortbread cookie, I would gladly eat a nice chewy oatmeal cookie (or two). I think I’ve mentioned that I don’t like raisins, so I would sub in chopped dates. Mmmm…I seem to recall us chatting about shortbread cookies a while back, Dorothy. Those are also up there on my list of favorites! But it takes a lot (a LOT) to knock oatmeal raisin cookies off the top spot on my cookie list. And these are seriously some of the best I’ve ever made. I remember your thoughts on raisins, but dates would work well here. Or perhaps another dried fruit like cranberries or blueberries? That would be a fun twist! 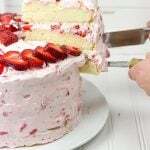 Happy baking, my Tennessee friend! I ate tons of oatmeal cookies when I was younger but I can honestly say I haven’t had an oatmeal cookie in years, like maybe 10 years! Isn’t that crazy David. Please Please Please send pics of Robbie’s Masterpieces, I have to see them. Nothing wrong with abstract expressionism. Robbie is soooo darn cute, he’s growing up fast. 10 years since you’ve had an oatmeal cookie!? Ok, that’s about 9.9 years too long, Mary! 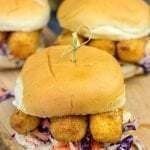 I say get in the kitchen and make a batch of these bad boys. They seriously aren’t hard at all to make. 🙂 And I totally agree with you about Robbie. He’s growing up SO fast. The rain finally washed his driveway masterpiece away, but I’m sure there will be more soon. Haha! Thanks, Mary!! Little Robbie might want to grow up and become an artist! A really cute one :). These cookies sound healthy and yummy David! 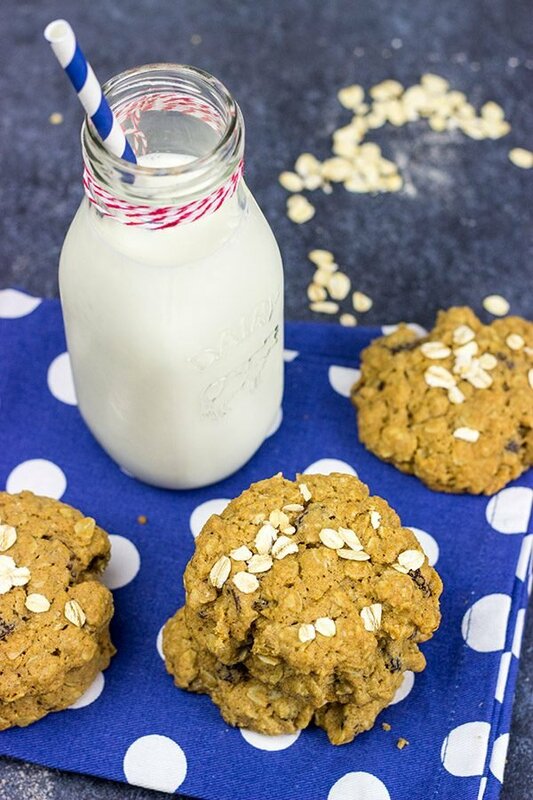 Oats and whole wheat flour make them perfectly appropriate with a glass of milk for breakfast! Robbie is definitely growing up with music involved somehow! You should see that kid dance whenever he’s around music. That might be us playing music at home…or just him hearing music on the speakers at a store. We always have to stop and have an impromptu dance session! 🙂 Also, these Oatmeal Raisin Cookies are seriously delicious, Deepika. And I like how you think about turning these into breakfast with a glass of milk…haha! Thanks so much, my friend! So whole wheat flour is one of my favorite baking tools, Neil! Seriously. It does require a bit of practice, though. I once made a loaf of bread with entirely whole wheat flour and it turned out like a brick. (I’ve since made it again, and it worked…but that first loaf was so sad.) But whole wheat flour in these oatmeal raisin cookies? Yes, yes and more yes! They are the best oatmeal raisin cookies I’ve ever eaten! Thanks so much, my friend! Your driveway must look soo pretty by now. Love Robbie’s big smile holding one of your cookies – they must be delicious! Would’t say no to one or two right now with a nice glass of cold milk. Can’t believe it is the end of the summer already! Have a lovely weekend, David! Haha! Well we fortunately had some rain come along, so that reset the driveway back to clean again…or a clean slate I should say! I’m thinking this afternoon sounds like a good time to create another Jackson Pollock out there. 🙂 Thanks so much, Miriam, and I hope you had a wonderful cookie-filled weekend! wow Robbie is growing fast, seems like yesterday that he was just born! time really flies! The cookies sound amazing David, actually since morning I am having this oatmeal cookie craving and now I open your blog and see this – off to make cookies now! Geez, you’re telling me, Manali! Robbie is growing up so fast these days. 🙂 But it is fun to watch him learn so quickly. And you should have seen him saying ‘cookie’ as he reached for these Oatmeal Raisin Cookies! It’s hard to beat a good oatmeal raisin cookie, right? Hope you had a great weekend, my friend! I completely agree with you about this, David. I will often throw a bit of wheat flour into any drop cookie – but especially oatmeal – because it improves both the texture and flavor. 100% whole wheat, though, that’s a lot! But I have no doubt it’s delicious. And as you said, if he’s going to eat a cookie – and what kid isn’t – it might as well be whole grain. Yes! 100% whole wheat flour. It totally works in this cookie, Jeff. Trust me. Plus, because it’s 100% whole wheat, that means you can eat more, right? 🙂 That sounds like a good argument…sorta. Haha! Thanks, buddy. Hope you had a great cookie-filled weekend! Robbie is getting so big! I love oatmeal raisin cookies. 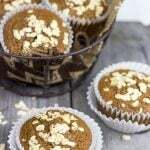 I have not made them with whole wheat flour before, I need to try them. You’re telling me, Dawn! I can’t believe how quickly Robbie is growing up these days. I kinda notice it on a day-to-day basis, but when I look back at photos over the last month or two, it becomes really obvious! It’s hard to beat a good oatmeal raisin cookie, and I highly (highly!) recommend trying ’em out with 100% whole wheat flour. The taste and texture of these cookies seriously is perfect! Your cookies look delicious, but Robbie stole the show. He’s absolutely darling! 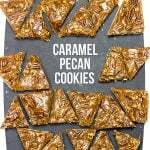 I love whole grain flour in baked goods, so these are right up my alley! Hahaha…I get it, Marissa! I mean the cookies truly are amazing (and 100% whole wheat flour), but it’s really hard to go up against Robbie and win. But…Robbie with a cookie? Now that’s a good partnership, right? 🙂 Thanks so much for the kind words, my friend! This is one healthy cookie: whole wheat and oatmeal and raisins! Yum!!! I can tell Robbie loves ’em! Oh there is so much deliciousness going on in these cookies, Kathy! And I’ve gotta say that I’m a HUGE fan of adding whole wheat flour into my cookie adventures. The texture is perfect! 🙂 Thanks so much, and I hope you all had a wonderful cookie-filled weekend! I am a huge fan of oat meals. It’s really easy to make a raisin cookie at home and looks really delicious. I’m hoping I can get a chance to make these as soon as possible. I have already bookmarked this recipe of yours. Looking forward to more recipes, Thanks for sharing this with us. Best wishes and Regards. Thanks for the recipe, David! Like you, I try to “sneak in” whole grains. Sometimes it works, others, not so much, but I think this recipe is a winner! Pinning for later (well, sooner, actually) use! Oh, I totally get the whole trying to be sneaky with food. 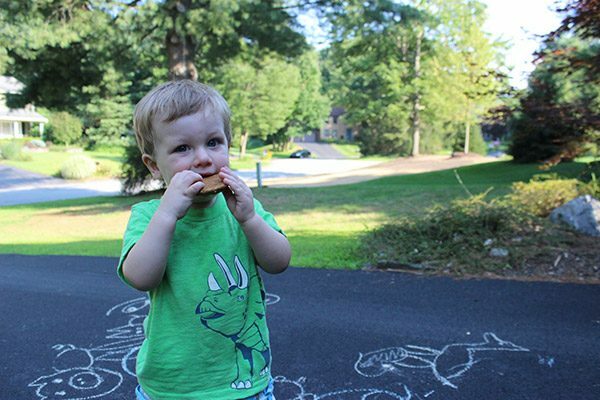 So far, Robbie is having none of it with veggies and proteins…but he loved these cookies! And honestly I think I like these cookies better with whole wheat flour. Give ’em a shot. They’re seriously some of the best oatmeal raisin cookies ever! 🙂 Thanks so much, Laura!! Btw – Robbie is such a cutie – not sure if we should send him sidewalk chalk or drums for Christmas now! Oooo…I’ve never thought about putting nuts into these cookies, Shashi! But I gotta say that it’s a really good idea. 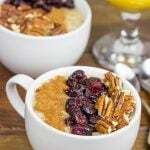 I love pecans, so I’m thinking the oatmeal raisin pecan combo needs to happen! Oh, and the whole wheat flour in here? Perfect texture! !